ESP8266EX is capable of functioning consistently in industrial environments, due to its wide operating temperature range. With highly-integrated on-chip features and minimal external discrete component count, the chip offers reliability, compactness and robustness. ESP8266EX is integrated with a 32-bit Tensilica processor, standard digital peripheral interfaces, antenna switches, RF balun, power amplifier, low noise receive amplifier, filters and power management modules. All of them are included in one small package, our ESP8266EX. Engineered for mobile devices, wearable electronics and IoT applications, ESP8266EX achieves low power consumption with a combination of several proprietary technologies. The power-saving architecture features three modes of operation: active mode, sleep mode and deep sleep mode. This allows battery-powered designs to run longer. 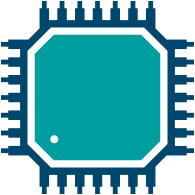 The ESP8266EX microcontroller integrates a Tensilica L106 32-bit RISC processor, which achieves extra-low power consumption and reaches a maximum clock speed of 160 MHz. 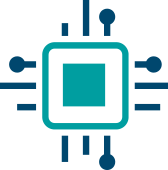 The Real-Time Operating System (RTOS) and Wi-Fi stack allow about 80% of the processing power to be available for user application programming and development.